“Not even slightly,” the former Trump campaign adviser insisted to The Daily Caller News Foundation on Sunday when asked if he ever expected to be charged in the investigation. “That’s why I laughed at this stuff all along,” he said. Page, 47, was at one point in time a major focus of the Russia investigation, which was led by special counsel Robert Mueller and played out in the media. The letter exonerates Trump. It also exonerates Page, who was a volunteer national security adviser for Trump’s team. Page was one of four initial targets of that counterintelligence investigation, which was formally opened by the FBI on July 31, 2016. Dubbed Crossfire Hurricane, the investigation started with George Papadopoulos, another young Trump aide who joined the campaign at the same time as Page. During the probe, Page faced perhaps the most intrusive media and government scrutiny other than Trump himself. He faced it all without the base of support enjoyed by Trump, or his financial means. Page, a Naval Academy graduate, dispels the idea that he’s a victim. He says Trump was the true target and that he was collateral damage. Page has said he had interactions over the years with the FBI and CIA, largely because of his work in Moscow, where he worked as a consultant during the 2000s. He landed back on the U.S. government’s radar just after he joined the Trump campaign in March 2016. Former Attorney General Loretta Lynch, former FBI Director James Comey and other U.S. officials discussed Page after he joined Trump’s team. The FBI deployed a longtime informant, Stefan Halper, to make contact with Page in July 2016. The pair met at an event held at Cambridge University on July 11-12, 2016 where the upcoming U.S. election was the topic of discussion. Former Secretary of State Madeleine Albright was in attendance, as was Sir Richard Dearlove, a former chief of MI6. Halper, a colleague of Dearlove at Cambridge, approached Page at the conference, and the pair remained in contact through September 2017, the same month the FBI’s fourth and final Foreign Intelligence Surveillance Act (FISA) warrant expired. It is still unclear what information the FISA warrants and Halper recovered from Page. But Page’s absence on the roster of indictees in the Mueller investigation suggests they didn’t find much. The FBI appears to have applied for the first FISA against Page in September 2016, around a month before obtaining the warrant on Oct. 21, 2016. 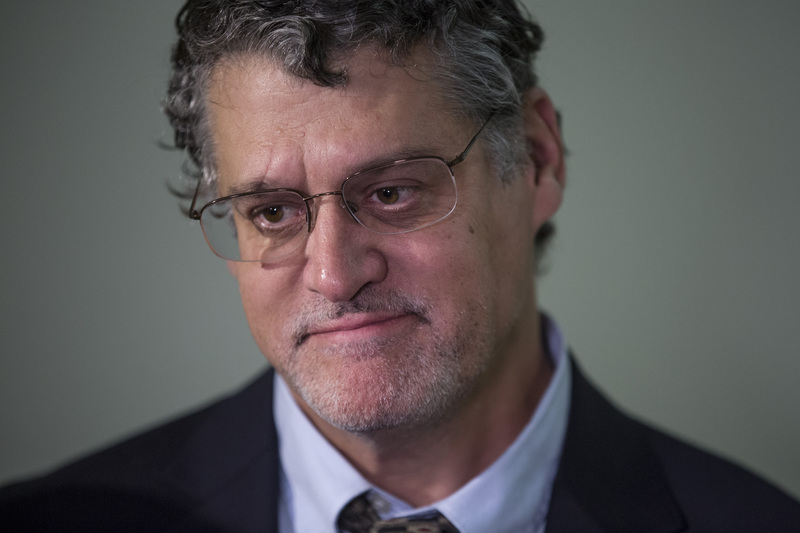 Applications that have been declassified and released show the Steele dossier was a major component of the investigation. Compiled by former British spy Christopher Steele and funded by Democrats, the dossier makes several serious allegations against Page, all of which he denies. Steele claimed in his 35-page report that Page worked with Trump campaign chairman Paul Manafort to conspire with the Russians. It was also Page’s idea to release emails stolen from the Democratic National Committee through WikiLeaks, Steele’s sources said. The dossier also alleges that Page met with two sanctioned Kremlin insiders, Igor Sechin and Igor Diveykin, during a trip to Moscow he made just before his Cambridge visit. During an alleged conversation with Sechin, the dossier says that Page offered to lobby against Russian sanctions in exchange for a brokerage stake on a deal involving Rosneft, the Russian oil giant. Steele, a former MI6 officer, shared those allegations with reporters, including Michael Isikoff at Yahoo! News. On Sept. 23, 2016, Isikoff published an article laying out the claims about Page. It would later be revealed that Isikoff was one of a handful of reporters who Steele met with at the behest of Fusion GPS, the opposition research firm hired by the Clinton campaign and DNC to investigate Trump. Republicans in Congress have investigated the FBI’s applications for the FISA warrants. They say that bureau officials withheld key evidence from FISA Court judges regarding the provenance of the Steele dossier, which remains unverified. That investigation is expected to intensify now that Mueller has closed his investigation. Page is among those supporting the probe. Page was also targeted with a series of damaging media leaks that he believes were tied to his decision to speak out publicly about the dossier’s allegations. His first television appearance was with PBS’s Judy Woodruff on Feb. 15, 2017, a month after the dossier was published by BuzzFeed. On April 3, 2017, a story broke in BuzzFeed that Page was targeted for recruitment in 2013 by two Russian spies. Page was not accused of wrongdoing in the case. One of the Russian spies was recorded calling Page an “idiot.” Nevertheless, Page’s contacts with Russian operatives fit into the prevailing narrative that he had illicit ties to Russia. James Wolfe, a senior staffer for the Senate Select Committee on Intelligence, has since been identified as leaking information to BuzzFeed for the report. He pleaded guilty to lying about contacts with the BuzzFeed reporter, who he was dating at the time. A bigger bombshell landed a week after the BuzzFeed report. On April 11, 2017, The Washington Post broke the news that Page was the target of a FISA application. In order to be targeted with that type of surveillance, the FBI and Justice Department would have had to present probable cause that Page was working clandestinely as an agent of Russia. The source for that leak of classified information has yet to be identified. The Washington Post leak had its intended effect, Page argues. The argument at the time was that if the FBI felt that Page was a Russian agent, then surely he must have been. That thesis has since come under scrutiny as it became clear the FBI relied heavily on the Democrat-funded dossier to meet that probable cause standard. Even Halper, the FBI-CIA informant, hinted to Page that collusion was a non-starter. Twenty-six months after its publication, none of the major allegations in the dossier have been verified. There is strong reason to doubt many of its claims. Michael Cohen, the former Trump fixer, has denied one of the dossier’s most serious collusion allegations under oath. On Feb. 27, he told Congress that he has never visited Prague, which is where the dossier claims Cohen visited in August 2016 to pay off Russia-linked hackers. The dossier has other inaccurate information about Cohen. The source who provided information to Steele was also an intermediary for allegations about Page. Page is vague when asked about his dealings with the FBI and the Mueller team. 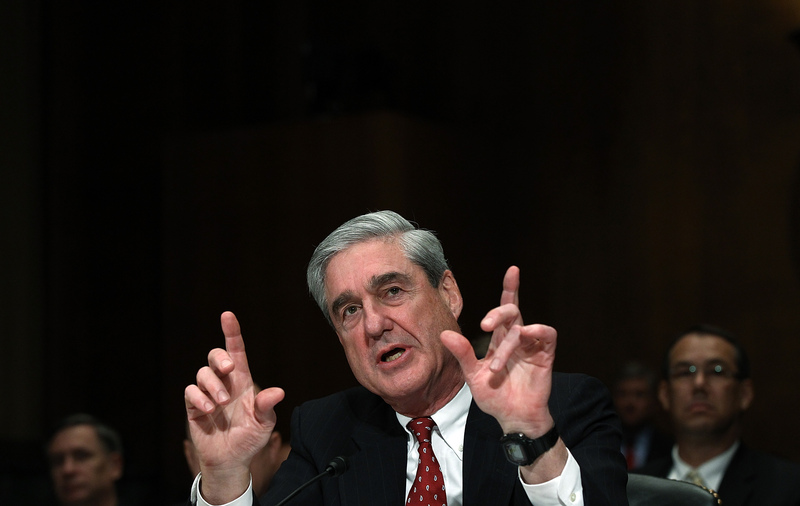 He has recently — albeit reluctantly — acknowledged he testified to Mueller’s grand jury on Nov. 17, 2017. He told TheDCNF he was informed he was not a target of the investigation. “I was never even asked any question which comes anywhere near the zone of illegality, not by a long shot,” he said. He hinted he was informed during the course of the investigation that he was not a target. Federal prosecutors place individuals involved in investigations into three separate categories: witness, subject and target. “I was the mildest of the mild,” he said. Page concedes that if he has one regret, it’s not speaking out forcefully against allegations that began trickling into the press about him in the run-up to the 2016 election. He said if he had not been so easy-going in the face of allegations he was a Russian agent, he could have avoided further surveillance and media attention. “If I had fought about the witch hunt earlier, all of this stuff wouldn’t have transpired,” he said, noting his relative obscurity made him an easy target for investigators, in the media and in government. “It’s a lot easier to paint a picture on a blank slate,” he added.